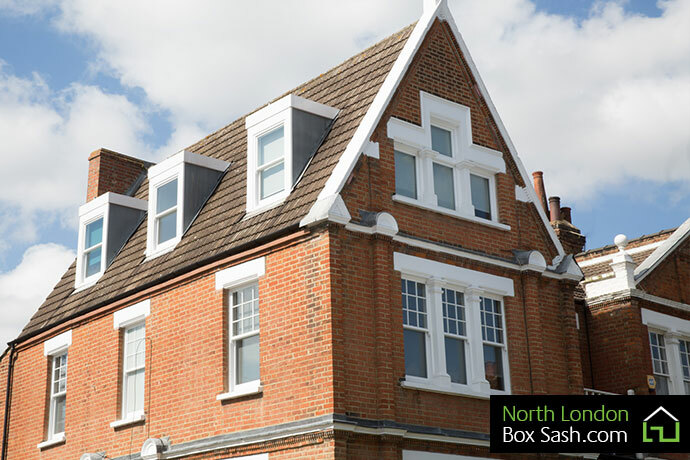 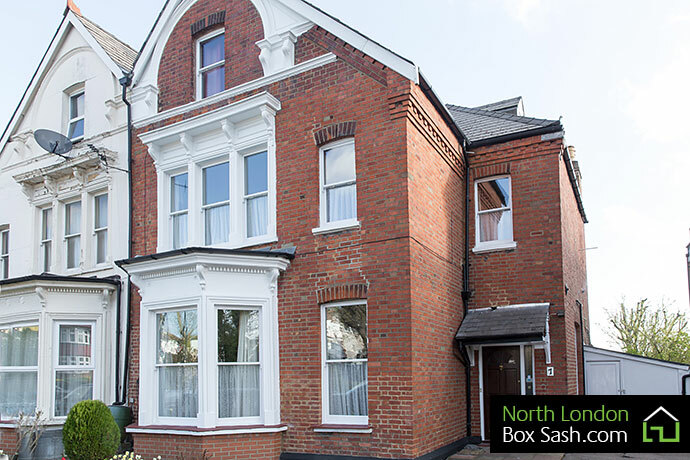 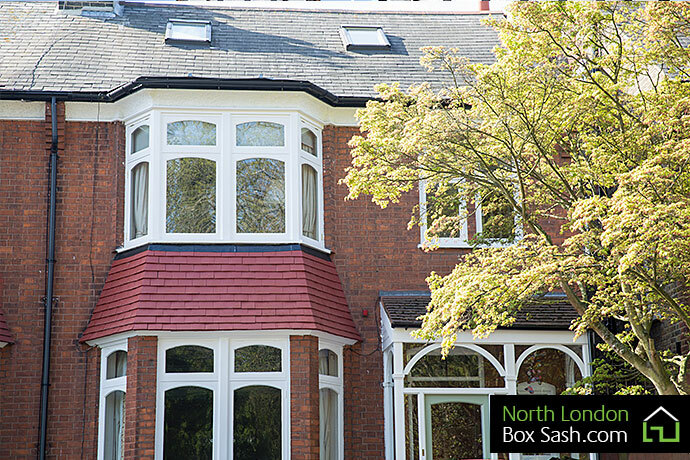 North London Box Sash recently completed the installation of replacement windows at this large Victorian property in Winchmore Hill, North London. 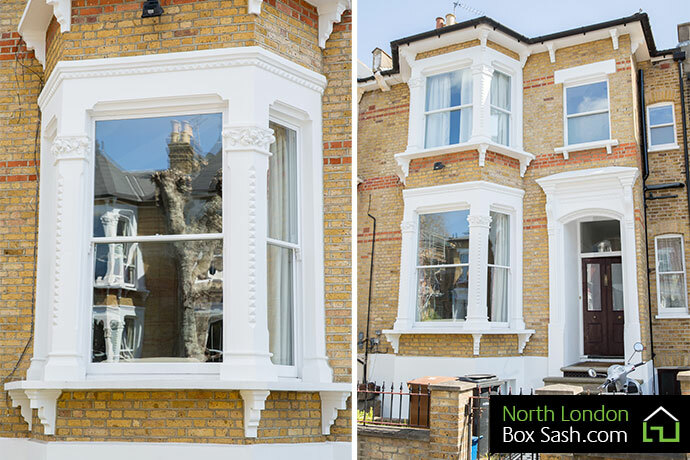 This Victorian property was fitted with double glazed sashes throughout and draught proofed, using the existing box sash frames. 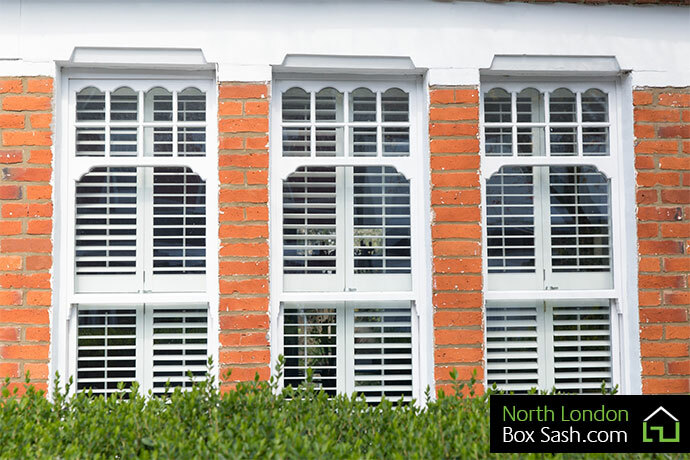 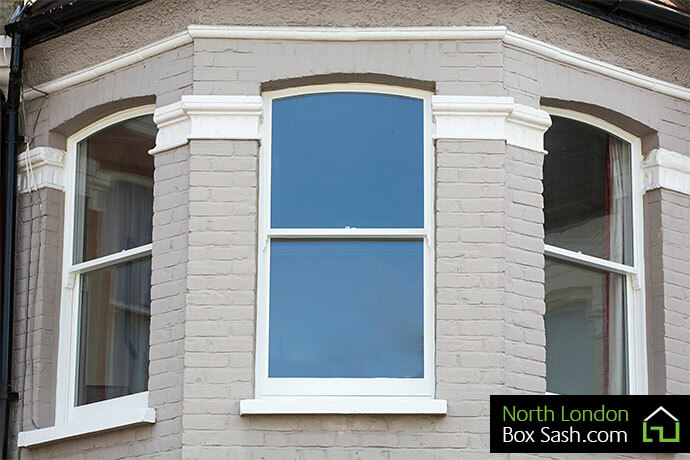 The second floor window was supplied in hardwood for superior durability. 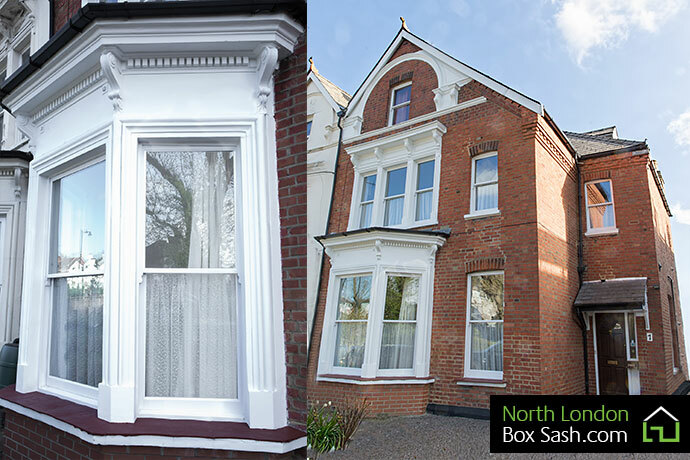 The existing frames were stripped back to the original timber and fully refurbished, any inferior timber to the frames was removed, expertly spliced back and resin filled. 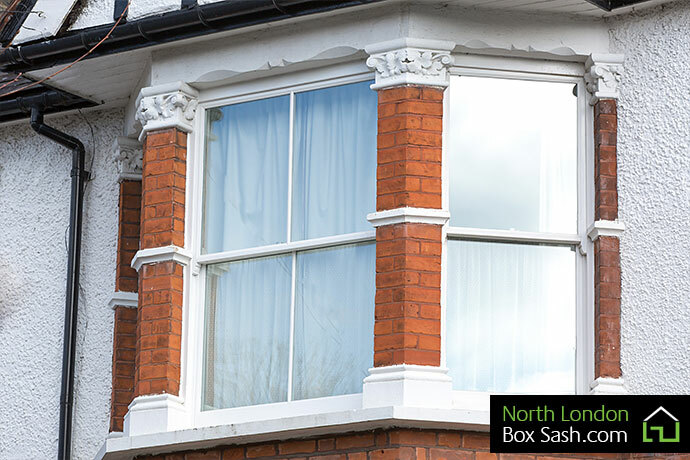 After the new double glazed sashes were installed, our painting team gave several oil based coats of paint blending the new sashes and box frame as one. 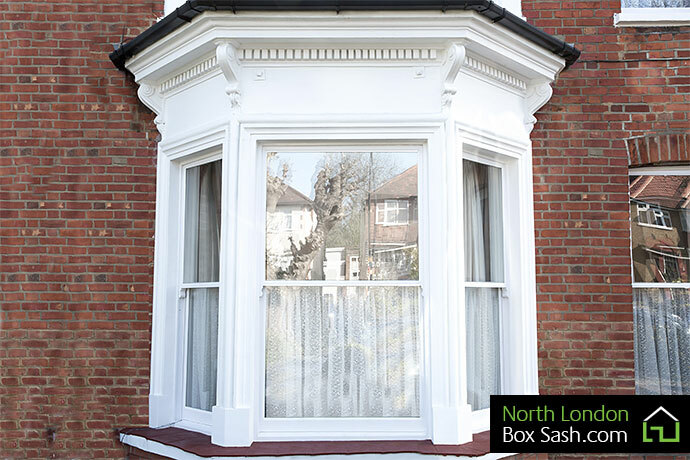 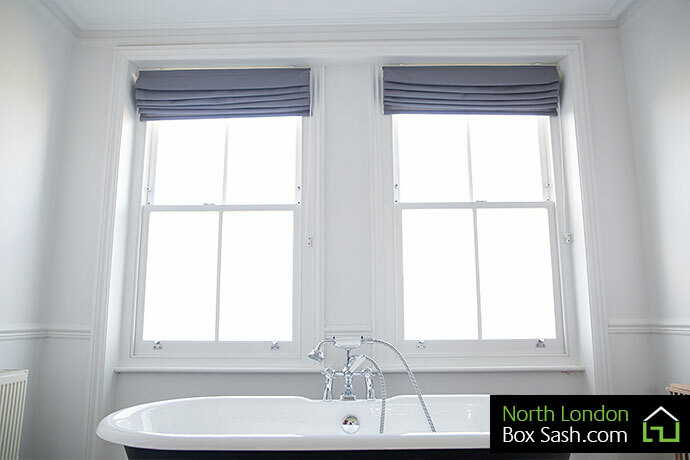 North London Box Sash have changed all the windows in my Victorian property.